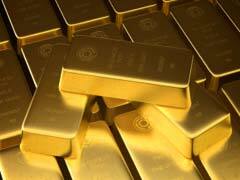 Buying gold bullion from banks in India is one of the most secure and popular ways of investing in physical gold. Before the recent economic meltdown Indian investors mostly purchased gold jewelry, however, rising gold prices have forced gold consumers to reconsider their preferences to buying gold bullion from banks. You can certainly purchase your gold bullion from your gold dealer or local jeweler; however, expect to pay higher premium charges and safety concerns, especially if you are dealing with unknown gold dealers. India is a country where gold scams are very widely spread and you certainly will not run into this problem if you decide to be buying gold bullion from banks. Gold investment in Indian banks is done through an efficient and secure system enabling its customers to open a gold investment account and contribute monthly as much or as little as they wish, considering they meet a minimum purchase requirement. Among gold bullion coins that could be purchased at the Bank of India you can choose from many different 24 karat coin sizes ranging from 4 grams to 50 grams. In addition, no matter where you live in India you can certainly find your local Bank of India location since the bank has over 3000 locations nationwide. However, Bank of India is not the only bank in India that offers its customers an option of buying gold bullion from banks. Among other Indian Banks that offer gold investing options are Indian Overseas Bank, Punjab National Bank, Indian Bank, Kotak Mahindra Bank and many more. Simply compare public bank gold investment account rates and decide which one is better for you. Please be advised that even if you decide to be buying gold bullion from banks, they will not buy gold bullion back from you. You will have to contact your local reputable jeweler or gold dealer if you want to sell your gold coins. Also buying gold bullion online is not as popular like in the US or Canada because Indian people are very cautious to avoid gold scams and prefer buying gold bullion from banks.